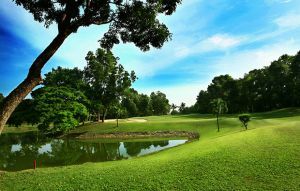 As you begin your round of the Hill Course, things get interesting on the par 3, 4th which offers a choice of greens. If you go for the back green then you have to flirt with the out of bounds which borders the back of the green and if you take on the shorter one then you can hit the wall which backs onto the green and if you are unfortunate enough to strike it with your ball you will almost certainly end up in the water. The par-5th is another memorable hole but for different reasons. It’s very long so two monster hits are required to get on in two and with a narrowing fairway it’s probably better to play safe and if you manage to stay on the fairway you have an approach to a very small green with water on one side and OB on the other. The 6th is a lovely par 4 with an island green fronted by a beach bunker. The 11th is a tricky dog-leg par 5 with water along the right and if you plan to get on in two then you need to play over the water but this is quite along carry. The 12th is another long par 3 with water and three large bunkers protecting the green. The 15th is an excellent par 5 with a large pond well-positioned for the sliced tee shot and a bunkers lefts and right waiting to for a miss-hit second. The Lakes Courses is quite different with much wider fairways and less trees. A difficult approach on the first with a large beach bunker at the back of the green. 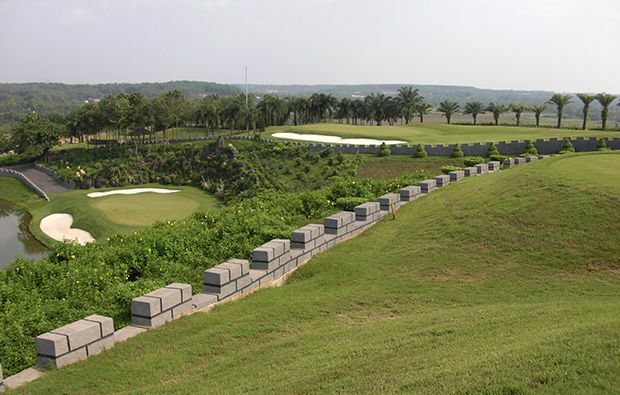 The second has water both sides and two fairway bunkers to add to the obstacles so accuracy off this tee is a must. 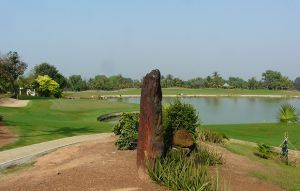 Water both side as you play to the 3rd which is a par 3 with water both side a n a narrow green with bunkers back and front. The 6th is a great par 5 with water and a line of bunkers all the way along the left, more water on the right and tow bunkers guarding the entrance to the green. Very intimidating tee shot at the 7th with water both sides and three well-placed fairway bunkers. 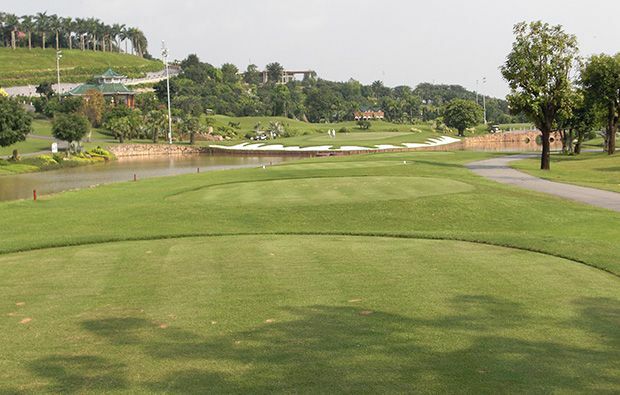 You play to another island green on the par 3, 8th – get you club selection right and this is an easier hole. The 10th is a very difficult par 4 with water both side and bunkers left and right of the fairway all the way to the green. 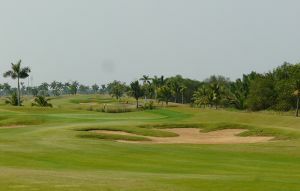 The 11th is a par 5 with water fronting the green and the par 3, 14th is yet another island green with a large beach bunker extending right across the front of the green. 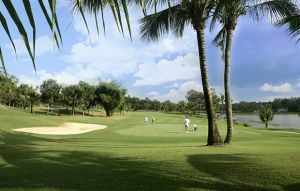 The 15h has water and bunkers all the way along the left side and the 17th is a potential card-wrecker with water again all along the left and three fairway bunkers in play off the tee with a tricky approach over water to the green. Superb clubhouse with pro shop, excellent locker rooms and a popular restaurant serving both local and western food. 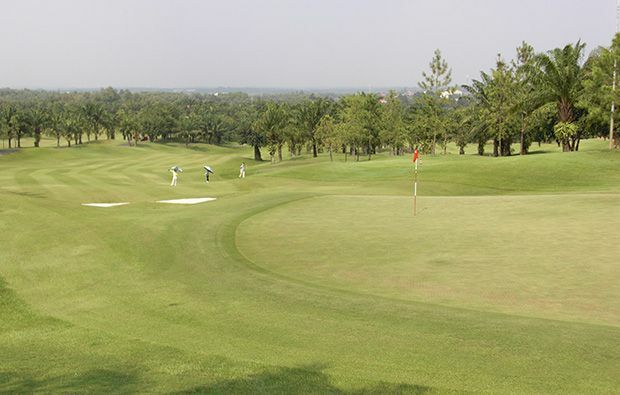 Book a tee time at Long Thanh Golf Club using our simple booking engine which can identify the best prices. 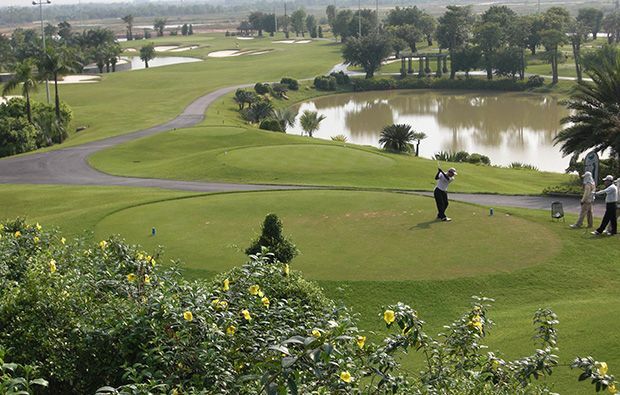 Long Thanh Golf Resort has different Services to offer. Choose a date and number or players to see the rates.